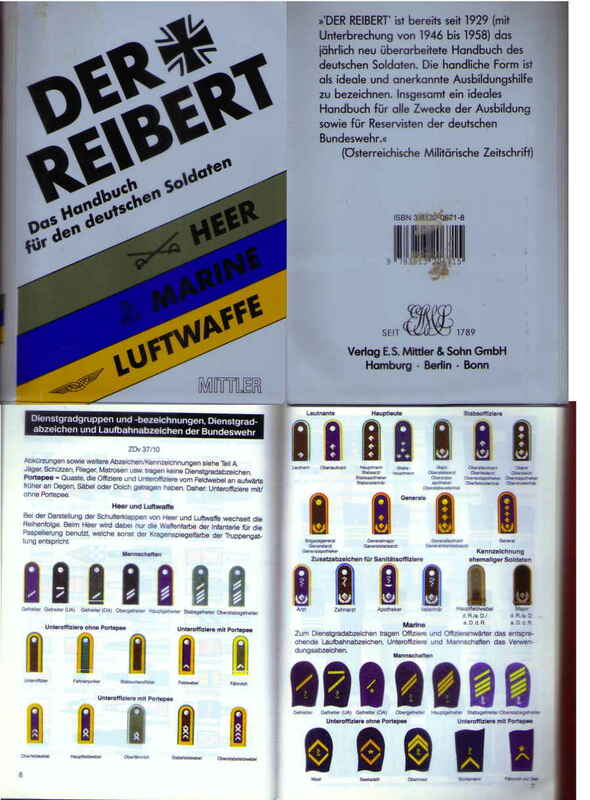 From a 1980s book, Der Reibert: Das handbuch fur den deutschen Soldaten. Made the GeoCities page in 1995, a few ranks have changed since then. There are now pages that have good information about the modern military, including a rank chart. A former West German officer's page with some rank insignia and pictures.